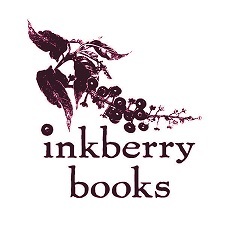 New, gently used & out-of-print books for readers of all ages. 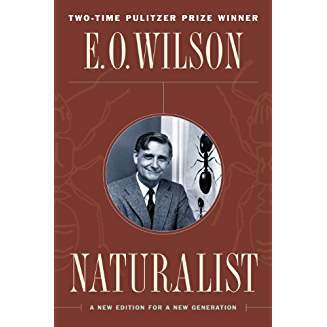 Edward O. Wilson -- University Professor at Harvard, winner of two Pulitzer prizes, eloquent champion of biodiversity -- is arguably one of the most important thinkers of the twentieth century. His career represents both a blueprint and a challenge to those who seek to explore the frontiers of scientific understanding. Yet, until now, little has been told of his life and of the important events that have shaped his thought.In Naturalist, Wilson describes for the first time both his growth as a scientist and the evolution of the science he has helped define. He traces the trajectory of his life -- from a childhood spent exploring the Gulf Coast of Alabama and Florida to life as a tenured professor at Harvard -- detailing how his youthful fascination with nature blossomed into a lifelong calling. He recounts with drama and wit the adventures of his days as a student at the University of Alabama and his four decades at Harvard University, where he has achieved renown as both teacher and researcher.As the narrative of Wilson's life unfolds, the reader is treated to an inside look at the origin and development of ideas that guide today's biological research. Theories that are now widely accepted in the scientific world were once untested hypotheses emerging from one mans's broad-gauged studies. Throughout Naturalist, we see Wilson's mind and energies constantly striving to help establish many of the central principles of the field of evolutionary biology.The story of Wilson's life provides fascinating insights into the making of a scientist, and a valuable look at some of the most thought-provoking ideas of our time. "Most children have a bug period," writes the author. "I never grew out of mine." Winner of two Pulitzer prizes, pioneer in sociobiology, distinguished entomologist and teacher, Wilson has written an absorbing memoir that charts his development as a scientist. From the age of seven, he wanted to be a naturalist; an accident that left him blind in one eye determined his field, and he settled on ants. Wilson recounts with affection his student days at the University of Alabama. In 1951 he enrolled at Harvard to complete his Ph.D.; there he began to study the evolution of social ecology among animals. Memorable field trips-to Cuba, Central America, the South Pacific-led him into new disciplines (biogeography and biodiversity). Noting that he has been "blessed with brilliant enemies," he gives a lively account of academic infighting between molecular (James Watson of DNA fame) and evolutionary biologists during the 1960s. Wilson discusses his collaboration with Bert Holldobler and the controversy that arose from the publication of Sociobiology: The New Synthesis in 1975. Wilson's memoir gives a rare glimpse into the evolution of scientific theory. 40,000 first printing.